I recently discovered a mod for the PC version of Fallout 4 that allows custom art to be added to settlements. 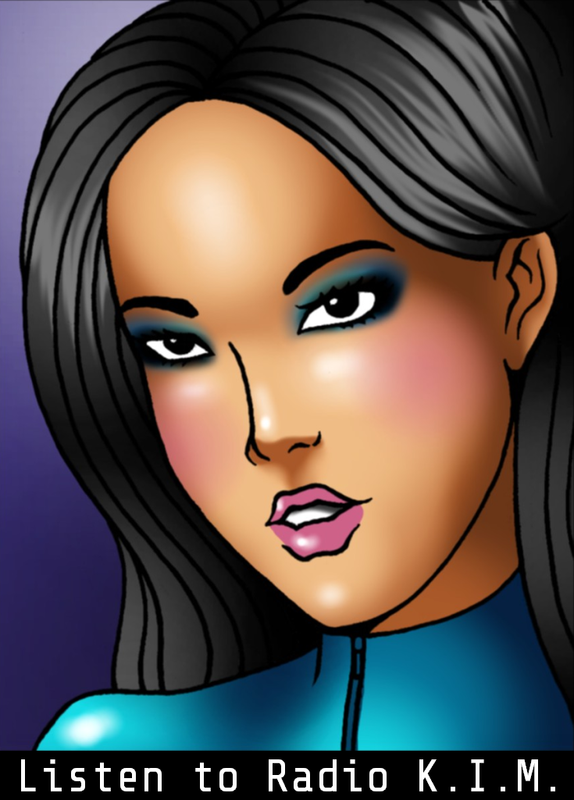 Of course I had to go and make some fembot stuff for it! Some of them advertise that awesome radio station Radio K.I.M., and the rest are just some nice stuff to look at while you hear your settlers complain. So here are 10 posters for you! Be sure to read the instructions for use on the mod’s page. 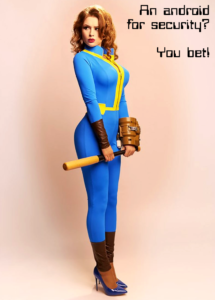 Sources for these are some of my comics drawn by AB Lust, the wonderful Fallout 4 cosplay of Galina Zhukovskaya, and some in-game screenshots. The lovely and talented Kim Coquette has agreed to let me include this photo of her in a gold bikini as a poster too, so feel free to use it in your Fallout 4 game if you like! This entry was written by Robotman, posted on July 9, 2017 at 7:50 pm, filed under ASFR, Fembots, Video games and tagged Androids, Art, Fallout 4. Bookmark the permalink. Follow any comments here with the RSS feed for this post. Both comments and trackbacks are currently closed.